Always carry a camera! You can’t get the picture if you don’t have your camera. That advice comes from the well-known still photographer, Jay Maisel. Makes sense, doesn’t it? A dedicated writer always carries a notebook and pen, listening for bits of dialogue or conversation, observing several people sitting in a park, jotting down descriptions. A committed digital filmmaker carries a camera. No matter if it’s still or video or just a cell phone camera. Look for potential locations. Check out an unusual point of view or angle. Get a few shots of the light spilling from a window onto a cafe table. Jay Maisel also says the most dramatic picture times are early morning and late afternoon, when the light is coming across the subject or casting long shadows. Watch for those situations, get a few shots, and file them for the time when you’re planning your storyboard. Always carry a camera! And check out Maisel’s book Light, Gesture, and Color (Voices That Matter) . Framing your shots makes for a better movie. You know the term “close-up,” maybe even “long shot.” The names themselves give you an idea of what you’re seeing. There’s more to it, though. 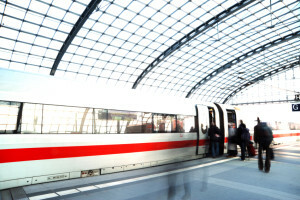 Framing camera shots can include: extreme long, long, medium, close-up, extreme close-up. An extreme long shot sets your scene, provides scope and range. It can give your personal movie a digital film look. Do you recall the earlier seasons of Smallville on television? Note the long shots of the Kent farm. Most television productions don’t use wide shots like that. But the producers of Smallville wanted the show to have the look of a film. So they incorporated wide shots of the farm to give viewers a sense of scope. Medium shots will give you a closer look, usually from the knees or waist up. Close-ups, and especially extreme close-ups, are dramatic, even intimate shots. They are often reserved for strongly emotional moments. Establishing shots. Almost every film and TV show uses them. Think about a typical episode of the frequently-rerun sitcom Friends. You’ll see a brief shot of the exterior of Central Perk, the coffee shop the friends frequented. That brief shot tells the audience they’re now in the coffee shop. Then the exterior shot of their apartment building tells you they’re at home. Obvious in a way, but it sets the scene. Some establishing shots are done at night. Of course the audience now knows the next scene will be set in the evening. Another example is the popular series Seinfeld where they use exterior shots of their favorite restaurant or Jerry’s apartment building. Then in another often rerun show Everybody Loves Raymond the shot of Raymond’s house with snow on the roof tells the viewers the following scene is set in his home in winter. Establishing shots. They guide your audience through your movie. Use them and you’ll look professional. Are you shooting video of a family wedding? Get an exterior shot of the church, even if you have to go on another day to get a clear shot of the exterior. Just make sure the sky and weather are similar in all your shots. Put your camera on a tripod. You need a steady platform for a rock-solid shot. Using a tripod allows you to perform steady panning and close-ups. You’ve already observed that it’s just about impossible to get a stable image when you zoom in with your camera. The tripod will resolve this. When you have no accessible tripod, you can steady your shot by holding your arm against something solid. Lean on a parked car, a light pole or a door frame. In a pinch, stuff a sweater or jacket in your backpack, wear it in front over your stomach, and lean the camera on the backpack. Inexpensive tripods will work with still cameras and most consumer camcorders. You’ll find them at Best Buy or at Amazon. If you’ve got a prosumer level camera, you’ll want to go for a more professional model to offer secure support for your camera. Try Amazon.com for a wide selection of more professional tripods. You can’t fail with a tripod. Start using one today for a rock-solid picture. Don’t forget tripod mounts for your smartphone. Search Amazon.com for these tripod mounts. There are several good choices. Here’s one: Cell Phone Tripod Adapter – iPhone Tripod Mount – SE 6 6S Plus 5 5S 5C 4 4s Clip Holder Connector Head Smartphone Attachment Samsung Galaxy S7 S6 S5 S4 S3 S2 – DaVoice (Black) . Read the customer reviews carefully. You’ll want a model that performs to your own work style. Some will work with a phone case, others won’t. Check for the stability of each mount. You don’t want your phone falling out and hitting the pavement, or worse, the water. Use an external camera monitor for better control of your shoot. 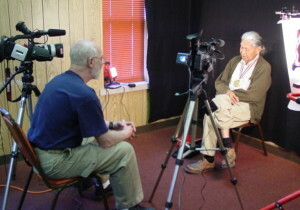 When you’re shooting digital video, you the camera operator are usually the only one seeing the image as you capture it. Another set of eyes always helps. Remote monitors allow some of your crew to see the images being captured. 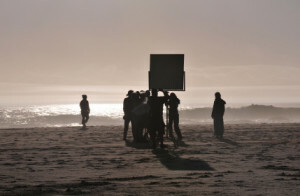 The additional viewers can often spot things that don’t belong in the shot, such as the overhead boom mic or a pedestrian walking in the background. Extra eyes are really helpful in composing the shot. The camera operator may need to be reminded of the rule of thirds. Or someone can suggest a different camera angle to convey the meaning with more drama. Try connecting a small 13” CRT TV set with RCA cables. You only need the yellow video connector. You should have someone else monitoring audio with headphones directly out of the camera. Or connect a portable DVD player that has RCA ports. For example, Sony makes a small DVD player with a 9” screen (Sony DVP-FX930). Another choice, especially if you’re using a prosumer level digital camera, is one of the external monitors offered by Ikan Corp. Check out the ikan v3800, a 3.8” LCD monitor. You can also try linking your camera directly to a laptop, if all the cables and ports match. An external monitor offers you input from others as you shoot. Don’t be afraid to accept the help. You need consistent, reliable power to run your camera, to light your subject, to use accessories. A little preparation will prevent gaps in your power supply. First, never assume that your camera batteries are charged. Check them often. Charge your camera battery the night before you plan to shoot. Carry an extra camera battery if you can afford to own one. And put extra AA and AAA batteries in your pocket. You don’t want to lose audio because a mic battery went dead. Bring your camera’s power adapter if you’ll be working indoors. Use it whenever possible and save your battery life. Indoors or outside, when you use lights such as a shop light, always bring an extension cord along. The light won’t help you if it doesn’t reach the actual location. Speaking of shop lights, we remind you to be safe. Shop lights get very hot and stay hot for quite a while after you turn them off. Keep them away from paper, fabric, clothing, furniture, and of course, your skin! You can buy inexpensive leather work gloves at the large home supply stores. Use them! Another safety comment – keep extension cords far away from puddles and wet floors. No exceptions. Electricity plus water equals shock and serious injury. Street photography has been around for a long time, especially since cameras evolved into smaller, more portable devices. 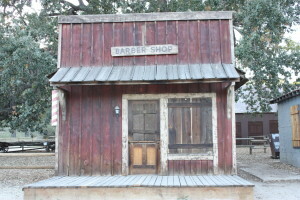 The genre is spontaneous, unplanned, open to found subjects. Alison McCauley, Geneva-based photographer, moved over to the camera after 20 years spent as a painter. To quote out of context is the essence of the photographer’s craft. Filmmaking is, of course, all about creating a look, a moment, a planned effect. Far less spontaneous. Yet there are elements in street photography that can inspire a filmmaker. Color, light and shadow, a sense of drama, for example. 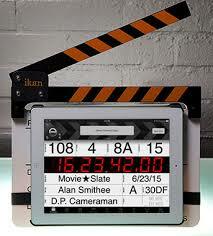 “Combine the T-Slate with your iPad and you get the smart features of the MovieSlate app along with the loud sound and motion of a traditional clapper stick. MovieSlate’s built-in clap detection software can detect T-Slate’s external clap stick using a combination of sound and vibration. Setup is extremely simple and you can use it with your favorite iPad cases. Stock footage can place your audience right where you want them, even if you haven’t shot the footage yourself. There are a number of sources for stock footage. One popular source is shutter stock.com. 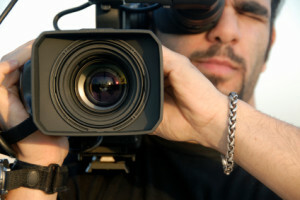 Even with a limited budget, you can find a few clips that will enhance your film. If you do use a stock clip, make sure that the clip matches your own footage as well as possible. Look for similar coloring, for example. Reflectors will help you fill in the shadows in some lighting situations. Bounce the light source off a reflector to lighten an actor’s face. Shooting a scene in the bright sunlight may put your subject partially in shadow. Aim the reflector at the sun so that it reflects some light onto the person’s shadow side. A reflector can be as simple as a piece of white foamcore. Get one half an inch thick so it holds up to wear and tear. A 20” by 30” panel should be fine. For changing the color tone on your subject’s features, make a silver or gold reflector. At your favorite fabric store buy pieces of gold and silver lame’, maybe two or three inches larger than your foamcore panel. Wrap the gold fabric around the foamcore and use packing tape to secure it to the back side of the foamcore. Then wrap the silver fabric over the other side, fold the edges neatly so they don’t trail over onto the gold side, and tape them down with double-sided tape. The gold reflector will offer a warm tone to your subject’s face. The silver will give a natural skin tone. Both will fill in shadow. No one makes movie alone. Nurture all the people who have given their time and energy to help you make your digital film. Maybe it’s only a friend or two. Perhaps it’s a dozen of your family and friends who will act, run sound, move sets, drive people to remote locations. They all get hungry and thirsty. And you want them eager to work with you. So feed them. 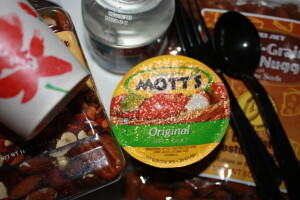 It doesn’t have to be a catered meal (“craft services”). Pizza always works well. Or just cookies and trail mix, if it’s a short shoot. Include bottles of water, or soda and juice. Your crew can also be your best fans. Take care of them now, and they’ll support you later when it’s time to screen your film. Or time to make another movie. Say thank-you with food, and you’ll always have a crew – and a movie. Rule of Thirds. It’s an easy concept. 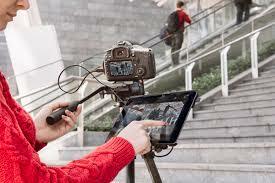 Easy but essential for a professional look to your digital film. Get a piece of transparency about the size of an 8.5” x 11” piece of paper. Use a piece of clear food wrap if necessary. With a Sharpie™ fine marker draw a grid on the sheet that resembles a tic-tac-toe grid. Two vertical lines, two horizontal lines equally spaced on the sheet. Hang the sheet on your laptop screen. Pull up a news broadcast from the web, maybe an interview with a celebrity or perhaps one of the day’s top newsmakers. Or pop in a movie DVD. Now look at where the principal figures fall on the grid. Rule of thirds. A newscaster’s or interviewee’s eyes – the main focus of a shot – fall on a grid line or where the lines intersect. This isn’t science. It’s art. Our eyes find it more pleasing to have the principal subject or feature on one of the grid lines or intersections. Never in the center. Use this concept for spontaneous video capture too. 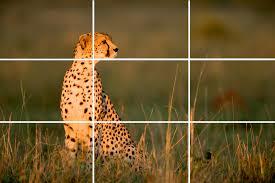 When you’re catching a few shots on your cell phone camera, remember rule of thirds. You will consistently impress your viewers, even if they’re not sure why. 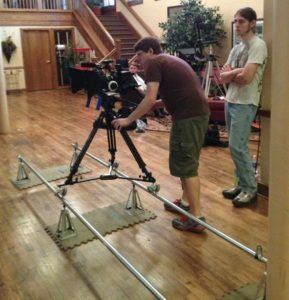 Dolly shots add a professional dimension to your camera work. 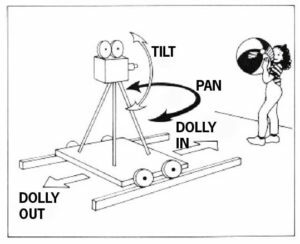 Camera movement can be set up fairly easily, or you and your students can build a workable professional-type rig.